*GASP* What a mouthful! You almost need to have ninja skills just to get the title out in one breath. Anyhoo, Namco Bandai Australia have announced that NS:UNSG has entered the manufacturing phase in preparation for its March 29 release but if you want a taste of what's to come you can download the demo now from Xbox Live or the Playstation Network. Otherwise, check out the latest press release and a couple of anime cut scene trailers after the jump! SYDNEY, AUSTRALIA – 8th March 2012 – NAMCO BANDAI Games Europe S.A.S today announced that NARUTO SHIPPUDEN: Ultimate Ninja Storm Generations has now entered the manufacturing phase and will be on sale in Australia & New Zealand on March 29th for the PlayStation®3 computer entertainment system and the Xbox 360® video game and entertainment system from Microsoft. Developed by CyberConnect2 and based on the popular animated NARUTO and NARUTO SHIPPUDEN series, NARUTO SHIPPUDEN: Ultimate Ninja Storm Generations is the latest rendition in the smash hit ‘NARUTO SHIPPUDEN: Ultimate Ninja Storm’ series of games, featuring the original Japanese voiceovers and lovingly crafted presentation faithful to the NARUTO series. NARUTO SHIPPUDEN: Ultimate Ninja Storm Generations offers NARUTO and gaming fans a torrential downpour of NARUTO ninja fighting action and adventure. For those gamers who cannot wait to get in on the ultimate ninja battle, the playable demo is available now for download on the PlayStation®Network and Xbox LIVE®. NARUTO SHIPPUDEN: Ultimate Ninja Storm Generations will revolutionize the series; online play and ramp up the number of playable characters to more than 70, with even more fan favorites available as support characters. Players will compete in a variety of online battle modes with their favorite NARUTO characters, including Naruto and Sasuke, and by popular demand, the characters Haku and Zabuza. 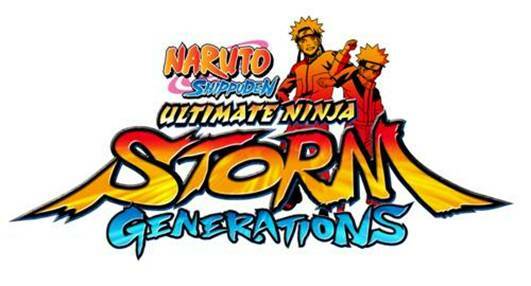 For the first time in the series, NARUTO SHIPPUDEN: Ultimate Ninja Storm Generations will feature an innovative system that integrates real-world collectible cards with the video game, allowing players to unlock corresponding artwork for their in-game profile card and engage in a special mini-battle to unlock a bonus skill and gain an advantage in the network battle. This new card functionality works with the collectible cards from the booster pack, which are sold separately. For more information about NARUTO video games please visit www.Facebook.com/Narutogames and www.naruto-videogames.com.